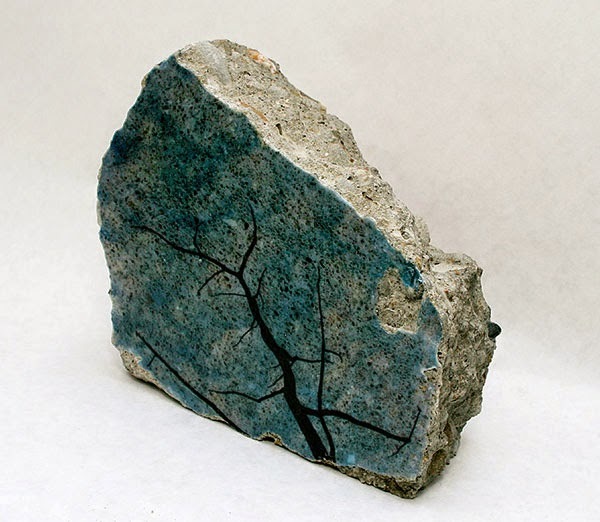 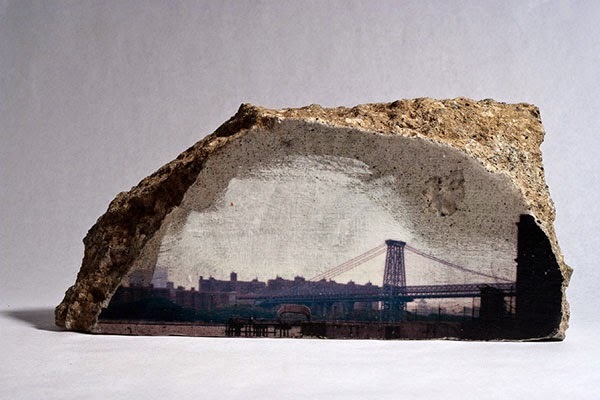 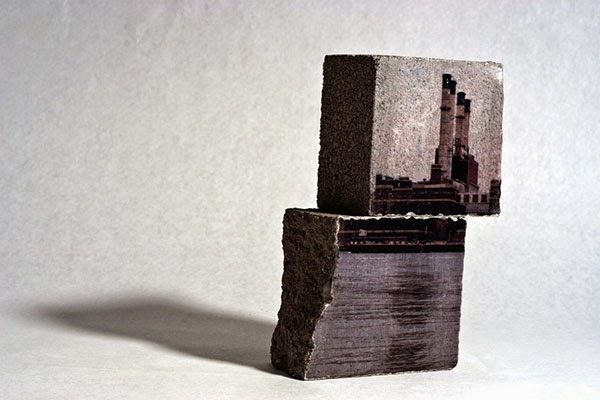 Photographs transferred into found structural material, such as concrete, using a pigment transfer technique inspired by site-specific fresco painted directly into plaster. 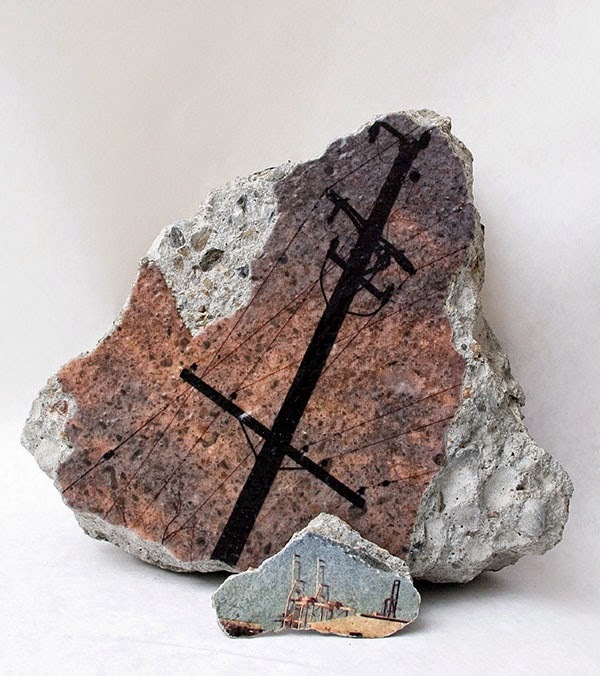 Roman aqueducts, shell middens, and vintage neon on the highway strip: if cities have a collective memory, it's in their structures and in the cracks, liminal spaces where forgotten debris can filter in and unseen growth can take root. 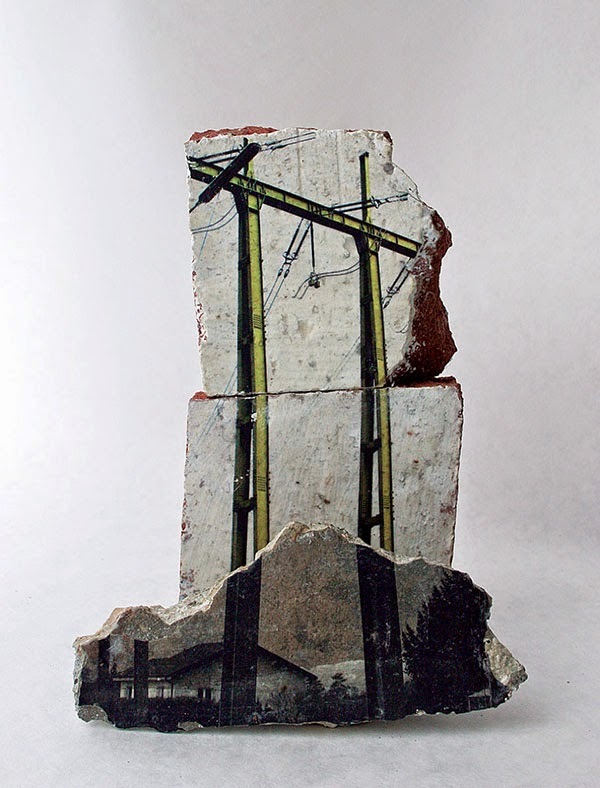 Along the way, phone poles are raised, concrete is poured, refuse accumulates. 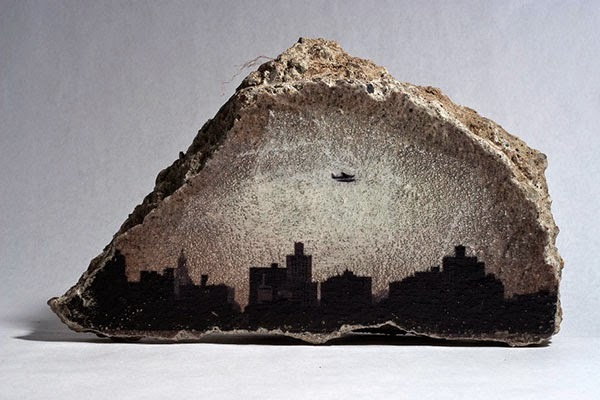 The cityscape and urban identity are a side effect of the density of life in a shared environment.